The shortest month of the year has also been a relatively quiet one for acquisitions, but among the announcements are several significant firsts – including LACMA’s first architectural acquisition and the first Dalí in Dallas. LACMA has received its fair share of exceptional gifts, but this is the first time the institution has been promised an entire house, its contents, and its surrounding estates. The home of millionaire fashion and basketball afficionado James Goldstein was designed by John Lautner (for Helen and Paul Sheats in 1963) and featured in The Big Lebowski, among other films. Goldstein, who made the deal with LACMA’s director Michael Govan, claims he was ‘impressed with [Govan’s] appreciation for the history of the house and the role it has played in the cultural life of Los Angeles’, and is providing an endowment for its maintenance. Among the important artworks included in the promised gift (Goldstein’s fashion and art collections are counted among its contents) are paintings by Ed Ruscha, De Wain Valentine, and a James Turrell Skyspace. This major bequest from the late collector and philanthropist Daniel W. Dietrich II includes significant modern and post-war works by the likes of Philip Guston, Edward Hopper, Cy Twombly, and Agnes Martin, along with a $10 million endowment gift to support the museum’s contemporary programmes. The gift also includes an important set of drawings, photographs and ephemera pertaining to the local 19th-century realist painter, Thomas Eakins, whom Dietrich greatly admired. This dramatic composition depicts Diana killing Chione the daughter of Daedalion by shooting an arrow directly through her tongue. Chione had attracted the attention of both Apollo and Mercury and, after bearing them sons, boasted rather unwisely that her looks surpassed those of the goddess. Poussin painted the work in Lyon in his late 20s, before his career-enhancing move to Rome in 1624, where he spent most of his life. Salvador Dalí has finally made it to Dallas thanks to a significant acquisition by the Meadows Museum. L’homme poisson was exhibited by the famously eccentric artist at the first American exhibition of Surrealist art in 1931, alongside his iconic painting The Persistence of Memory (1931; now in MoMA’s collection in New York). It is the first work by the Catalan artist to enter a Texas public collection, and is a crucial addition to the museum’s formidable holdings of Spanish art. Another first for Dallas, this time in the form of a new commission at the Dallas Museum of Art. The institution has invited British artist Rebecca Warren to create her first outdoor sculpture in the US, to adorn its renovated north entrance. Pas de Deux (Plaza Monument) will form part of a new outdoor programming space, the Eagle Family Plaza. By the time it is unveiled in April, a temporary exhibition of the sculptor’s work will also be underway indoors. 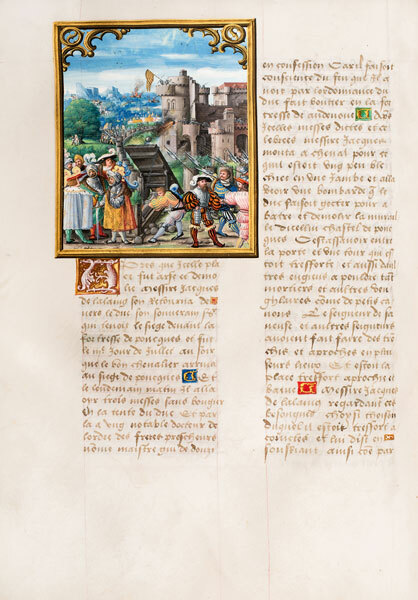 This 15th-century manuscript relates the exploits of Burgundian knight Jacques de Lalaing, with text by Jean Lefèvre de Saint-Remy, a frontispiece by Simon Bening and 17 illuminations by an unknown artist from the circle of the Master of Charles V. It’s a rare example of a secular Flemish manuscript, dating from around 1480 and extolling chivalric ideals. 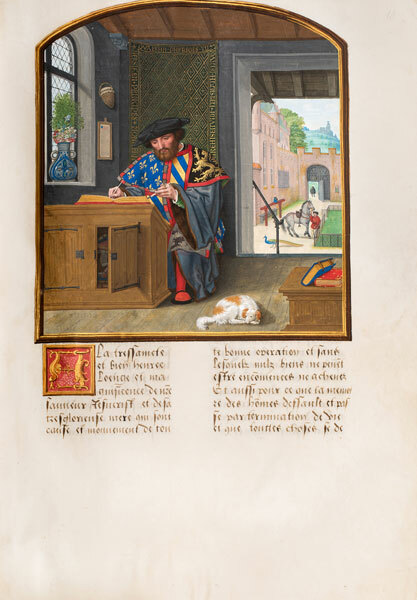 Remarkably, the manuscript has been in the ownership of Jacques de Lalaing’s ancestors for over 500 years since it was commissioned by a relative some 80 years after his death.